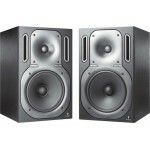 We knows your studio monitors are the windows into your music. The clearer the "glass," the more you.. 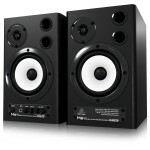 When you need a compact pair of desktop speakers, the Behringer MS40 monitor speakers are a smart so.. 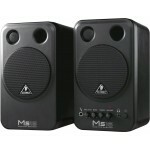 When you need a compact pair of desktop speakers, the Behringer MS20 monitor speakers are a smart so.. 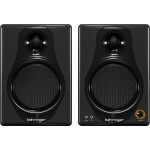 The Behringer MS16 is a compact 2-way stereo speaker system for home studio or multimedia applicatio..
For a compact pair of desktop multimedia speakers, Behringer Media 40USB powered speakers are impres..
Behringer collaborated with master speaker designer Keith R. Klawitter, founder of KRK, to design th..
Behringer makes the TRUTH B3031A Reference Monitor to speak nothing but the truth. When it comes to .. 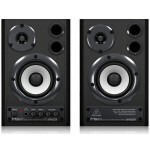 The Behringer TRUTH B3030A active monitor speaks nothing but the truth. When it comes to your studio.. 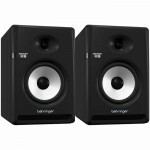 The Behringer TRUTH B2031P Passive Monitors are delivered as matched pairs. 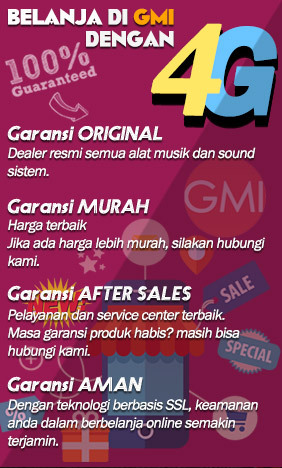 Handles 150W and del.. 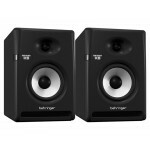 The Behringer Truth B2030A powered studio monitors are a budget-friendly way to get into a powerful .. 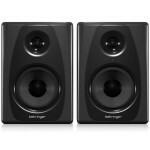 The Behringer Truth B1031A powered studio monitors are a budget-friendly way to get into a powerful .. 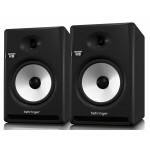 The Behringer Truth B1030A powered studio monitors are a budget-friendly way to get into a powerful ..
BEHRITONE C5A full-range reference studio monitors let you hear what your mixes will sound like ..
2-way Behringer 1C Monitors merge stunningly accurate sound reproduction with neo-classic design. Th..
Glass Fiber Speaker Cone for Punchy Sound The Behringer Nekkst K8 studio monitor has a special li..
Glass Fiber Speaker Cone for Punchy Sound The Behringer Nekkst K6 studio monitor has a special li..
Glass Fiber Speaker Cone for Punchy Sound The Behringer Nekkst K5 studio monitor has a special li.. 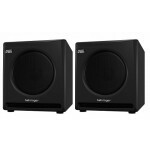 The Behringer TRUTH B2031A Active Monitors deliver very neutral sound with an extremely flat frequen..
Acitve Speakers for Commerical Installations Upgrade the audio in your building with Behringer .. 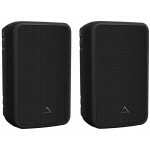 Elegant Real-world Monitor Cubes The Behringer Behritone C50A 30W active..